The beaches are calling. Are you ready???? This season, Anya Hindmarch is definitely upping the ante when it comes to sand style. 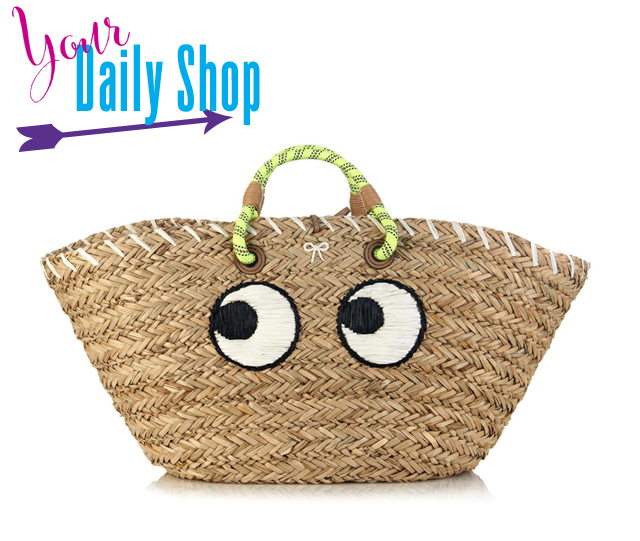 Just one look at this Eyes Straw Beach Bag and I think you'll agree the game of beach bagging just got real serious. Simply cannot get over how adorable this little number is. Let's just say you'll rule the dunes with this big eyed beauty by your side this summer. Oh swoon, I love thee!